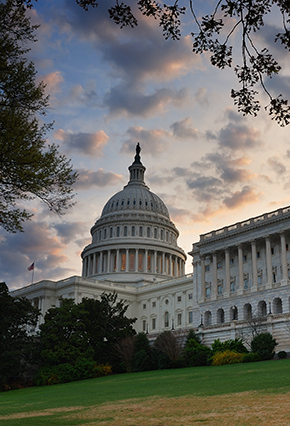 With the results of the final Senate election of 2014 now official, there will be further changes ahead for the Senate Committee on Energy and Natural Resources in the 114th Congress. Due to the re-election loss of Senator Mary Landrieu (D-LA) on Saturday, December 6th, Senator Maria Cantwell (D-WA) will become Ranking Member of the Energy and Natural Resources Committee in the new Congress. Louisiana Senator-elect, current Congressman Bill Cassidy (R), has received a commitment that he will be able to serve on the Senate Energy and Natural Resources Committee next year. In related developments, Senator David Vitter (R-LA) will chair the Small Business and Entrepreneurship Committee in January. The Senate composition for the 114th Congress now stands at 54 Republicans, 44 Democrats and 2 Independents. We continue to expect Senate committee leadership rosters and committee membership to be officially announced in January. Saturday’s run-off elections in Louisiana also resulted in two additional Republican victories in the House of Representatives. Congressman-elect Garrett Graves (6th District) won the seat vacated by Senator-elect Cassidy, and Congressman-elect Ralph Abraham (5th District) won the seat currently held by Congressman Vance McAllister (R). Congressman-elect Graves is expected to serve on the Natural Resources Committee and the Transportation and Infrastructure Committee. Congressman-elect Abraham is expected to serve on the Agriculture Committee and the Veterans Affairs Committee. The House composition for the 114th Congress stands at 246 Republicans and 188 Democrats, with one election still contested (AZ-2nd). Click here for an updated list of House committee assignments. The lame duck session of the 113th Congress continues this week with Senate consideration of the House-passed tax extenders legislation and the NDAA defense funding bill still pending. The CRomnibus legislation, funding the government through the next fiscal year, is still expected to be voted on this week – first by the House of Representatives. We will continue to report on relevant developments as they occur. Van Ness Feldman produces periodic updates and alerts on a variety of subjects in our primary areas of practice. For example, the firm publishes a comprehensive guide to federal funding opportunities that are being provided as grants through the various Departments of the Executive Branch of the federal government. Please go to http://www.vnf.com/KnowledgeCenter.aspx?SignUp=True to sign up for these publications. Finally, we are interested in any feedback you would like to provide on this document or any other alert or update you receive from the firm. We appreciate your interest in our alerts and updates.